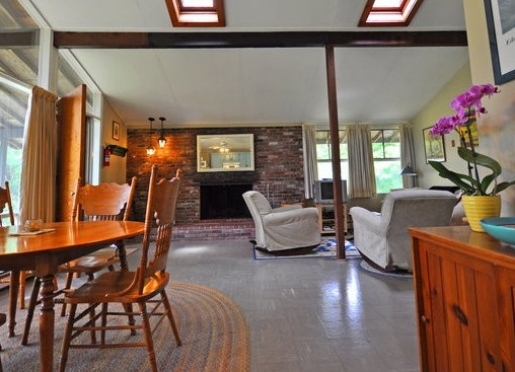 Cottage Guest provides you comfort and modern amenities while maintaining the charm, airy, open feeling, and peace of the mid-century Cape Cod home. 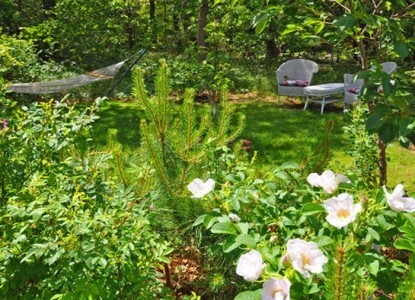 Our suites are set on over an acre of serene Cape Cod woods and gardens, and each offers private outdoor garden space for lounging and dining. 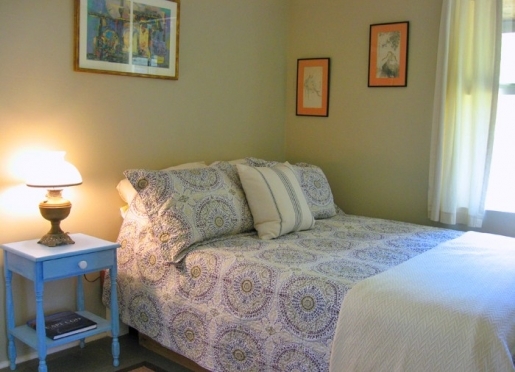 Cottage Guest offers ideal accommodations for travelers seeking the amenities of a hotel or the individual charms of a fine bed and breakfast, while maintaining their privacy and independence. The guest house is divided into two main suites, The Pine and The Cherry.Each suite is spacious, sunny and fresh, with its own private entrance and parking area, a full well-equipped kitchen, and private deck or patio with outdoor dining area. The grounds are an eye-pleasing mix of natural woods and cottage garden style plantings, in an eclectic upscale residential neighborhood. This peaceful oasis is on a quiet side street, with quick and easy access to the main roads and area attractions. Salt marshes, conservation land, and the Cape Cod rail trail ("the bike path") are all within five minutes by foot. 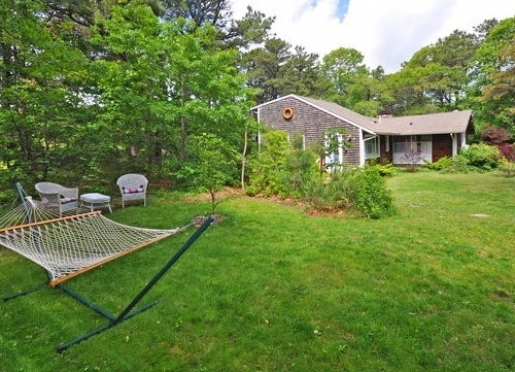 Just slightly further along you’ll find sparkling fresh water ponds, balmy bay beaches, the stunning Cape Cod National Seashore, Wellfleet Audobon Sanctuary, restaurants, cafes, shopping, farm stands, and our proximity to the bike trail makes a car-free stay an easy option after arrival. The neighboring salt marshes and conservation land provide a buffer for wildlife and a multitude of migrating birds, many who can be observed frequenting our bird baths and feeders. Travelers are always looking for memorable and relaxing experiences. Let’s discover more through the words of our innkeepers. Many thanks to Anya & Giovanni Messina for sharing their own secrets with BBOnline.com! Travelers who are looking for something fresh with personality and charm beyond another chain hotellove staying with us here at Cottage Guest. Also, our suites offer full modern kitchens and are tucked into the woods far from busy traffic offering rare tranquility even in the height of the busy Cape Cod summer. So in a nutshell it's our style, charm, tranquility, and amenities! We are best known for the quiet beauty of our rooms, the spotless cleanliness of these rooms, and the incredible peace of our surroundings. 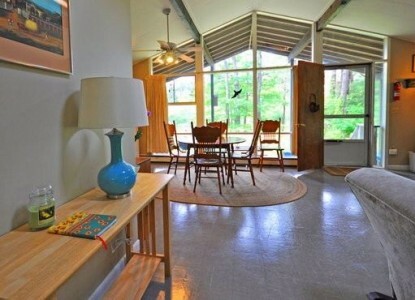 We are unique in offering guests their own private yard with hammock, a full kitchen, and fresh, stylish decor. Personally we love the abundance of wildlife frequently spotted on our quiet acre: baby fox, wild turkeys, coyotes, raccoon, a skunk family, rabbits, deer, owls, bats, and a multitude of other bird species can be spotted in quiet moments along with some endangered wild plants. 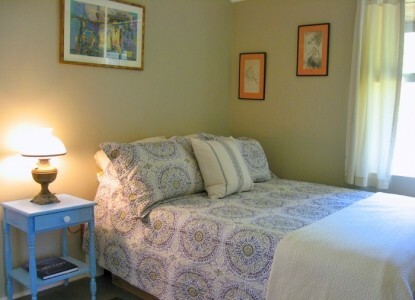 Oh, and the orthopedic mattresses we change yearly have us at times envious of the quality of sleep our guests enjoy! The wildlife! The National Seashore, the water, the beaches, the dunes and woods here are a treasure. They wrote, "it was just like a fairytale". Being told, "you've thought of everything", "it's so clean", and," we will absolutely be back!". We love that in our 3 short years of being in business here on Cape Cod a large part of our clientele is repeat business and/or referred by past guests. This is to us the highest honor! The tranquility here in Eastham- one can find quiet beaches and walks even in the height of summer, and Eastham's own Coast Guard Beach has been voted one of the top 10 most beautiful beaches in the US, including Hawaii! Also, many people don't realize the pilgrims had a large settlement here in Eastham. Certainly it depends upon your interests and level of activity you would enjoy for your stay - some people like to bustle along and take in everything, others prefer to lounge more with a good book and perhaps enjoy one small outing a day. We like to tailor our recommendations to a guests interests, but we would include some of the following: whale watching, a ride along the Cape Cod Rail Trail to Coast Guard beach, walks and beach going locally in the stunning Cape Cod National Seashore or town conservation lands, a visit to Provincetown for shopping and people watching, a visit to Chatham's historic center and perhaps a seal cruise, a visit to Wellfleet Audubon or some historic lighthouses, sunrise at Fort Hill, sunset at First Encounter beach, renting kayaks, canooes or paddle boards, a visit to Truro wineries, antiquing and farm-hopping along historic 6A. We are within walking distance of The Cape Cod Rail Trail(AKA the bike trail), the salt marshes, and some pretty conservation land, an old farm which has been allowed to convert back to woods, the Lamont Smith Property Conservation land. Also we are on an exceptionally quiet road which is great for quiet walks with a stroller or jogging. Keep your eyes peeled for box turtles! Much of the treasures of Eastham can be accessed from our location via car without traveling along busy Route 6. Our favorite restaurant is a very laid back affair overlooking the beach and harbor in Wellfleet- exceptionally fresh oysters, cold beer, decent wines, simple fresh seafood. The Bookstore. For celebratory meals we absolutely love Blackfish in Truro, and Local Break here in Eastham has great live music and good cocktails. The Chamber of Commerce has a good write up of local walks, beaches, etc, and the historical society has done a great job of cataloging the early roots of Eastham. We love pets, but we unfortunately can't accommodate them here at Cottage Guest. Locally there are a number of options, from an excellent kennel (Nauset Kennels and Pet Spa) to several pet-friendly options: The Painted Dog, The Inn at The Oaks, and The Pennyhouse Inn to name a few. Eastham is the quiet neighbor of Wellfleet and Orleans, and begins the Cape Cod National Seashore, with it’s forty pristine acres of dunes, beaches, trails, uplands, and kettle ponds stretching across the arm of Cape Cod to Provincetown. Eastham is a central point on the outer cape, making it an ideal base for exploring mid to outer Cape Cod, from Hyannis to Provincetown. Eastham, and the entire outer cape, has inspired countless artists, writers and photographers with it's incredible qualities of light, untouched rugged landscapes, and quaint village scenes. The landscape is nearly as idyllic and pastoral today as it was when Henry David Thoreau scribed his classic 'Cape Cod' published 1865, the same vistas which inspired Henry Beston's 1920's classic, 'The Outermost House'. The 1920's also brought prohibition to the US, and rum running was a lucrative business for local enterprisers. Cape Cod's craggy bay side and many private sandy inlets made for a smuggler's dream, and romantic rumors of buried treasure persist. Eastham has many interesting historic structures including the Cape's oldest wind-driven windmill. The town is famous for growing top-rate asparagus, turnips, and strawberries. One of the countries top-ten rated beaches is in Eastham, Coast Guard Beach, and has been called by The New York Times "Cape Cod's Little Secret". The town was the original home of the Nauset Indian Tribe, later settled by pilgrims, and marks some of the first pages of American history books in recounting The Mayflower's initial landing and Miles Standish's first encounter with the native inhabitants, the Nauset Indians, at First Encounter Beach. A stay in Eastham is suitable for nature lovers, beach lovers, cyclists, fishing aficionados, birdwatchers, and anyone desiring a restful and restorative vacation by the sea.